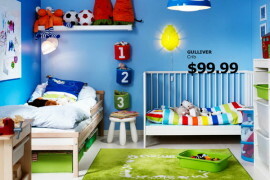 Picking out the right décor for the kids’ room can be a hard task at the best of times. 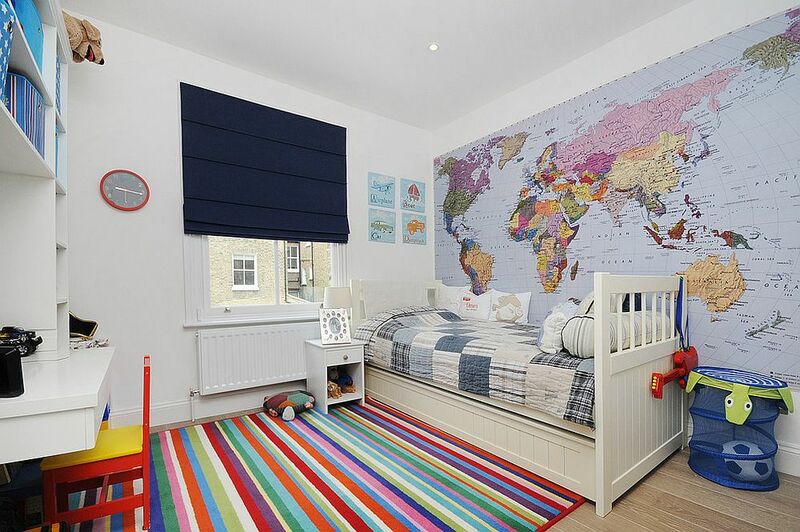 The choices are definitely endless, the themes incredibly varied, and of course, you have a little one who constantly wants you to change some aspect of his room. 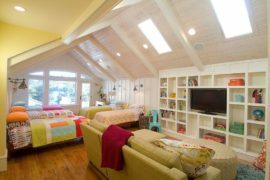 While bedding, décor, wall color and even the ceiling often receive plenty of attention, it is the floor that goes unnoticed. A smart and attractive rug can put an end to this neglect almost instantly! 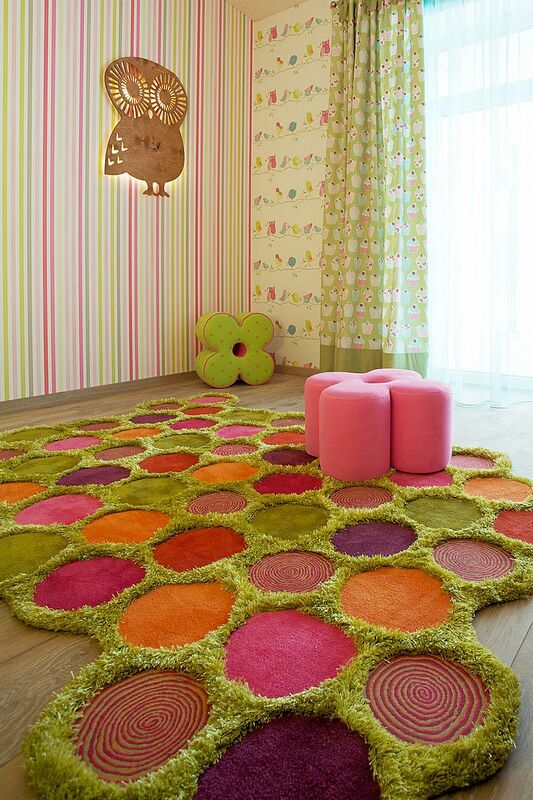 Bright and striking, colorful rugs for kids’ rooms come in a wide range of styles and can be as stylish as those in the living room or adult bedroom. 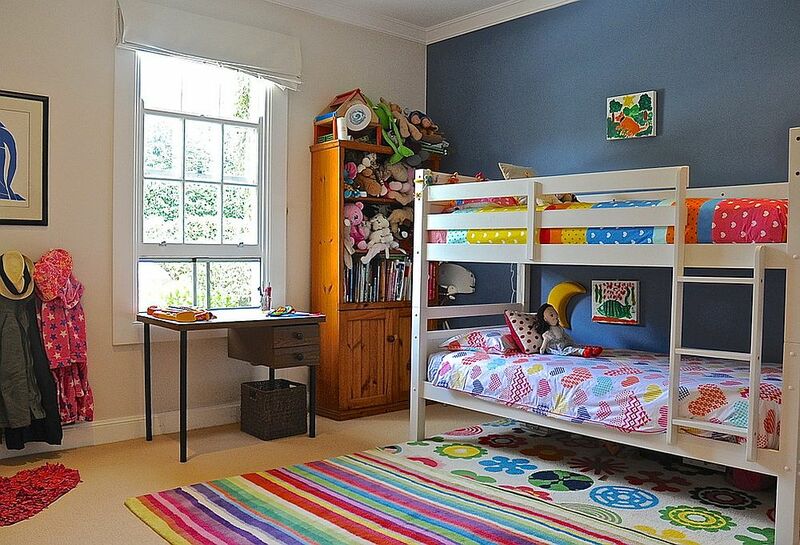 Adding a cheerful and vivacious rug is the perfect way to uplift the child’s bedroom without breaking the bank. 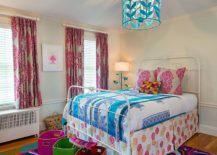 They work equally well in both neutral kids’ rooms and colorful bedrooms by either creating visual contrast or blending in with the existing hues. 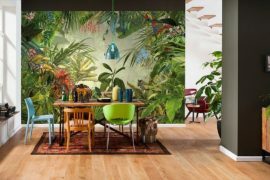 From the dazzling to the refined, the 25 ideas on showcase today will surely making shopping for that perfect kids’ room rug a whole lot easier! 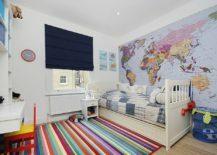 If there is one room in your house where adding a multicolored rug does not feel like a decorating risk, then it is surely your child’s bedroom or playroom. 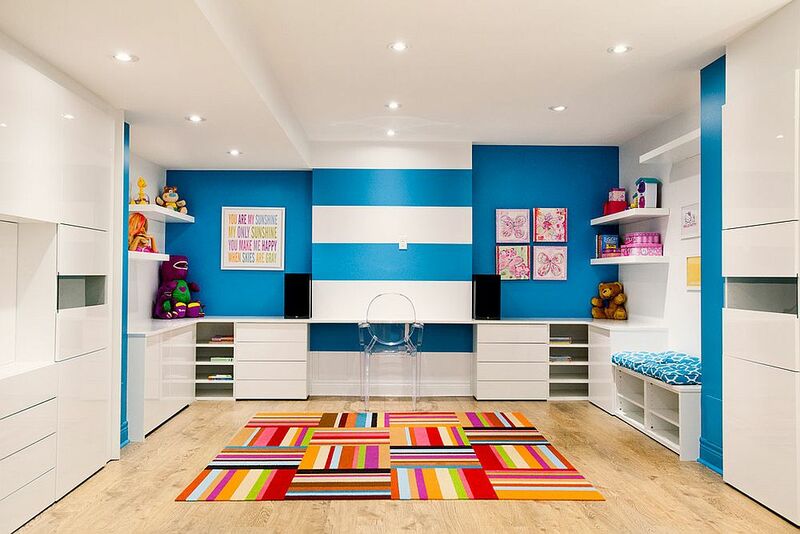 A rainbow-hued rug can work in two different ways when used in the kids’ room, depending on the existing color scheme and style of the space. 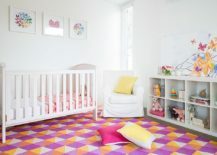 If the bedroom of your little one is already filled with multiple colors, then this rug can unify the seemingly disjointed setting, giving it a curated and modern appeal. 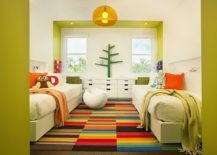 On the other hand, a contemporary kids’ room clad in neutral hues can benefit from the effervescent brilliance of the multicolored rug. 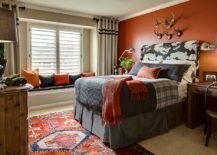 Once you have settled on the idea of incorporating a rug clad in multiple hues, it is time to take a look at its style. 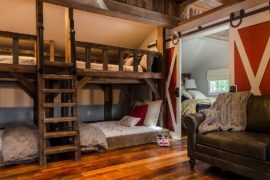 Area rugs with traditional motifs and patterns are great for rustic, farmhouse, industrial or even vintage kids’ bedrooms. 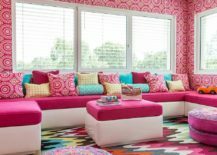 Modern rugs with abstract designs and geometric patterns feel more at home in contemporary spaces and even eclectic playrooms. 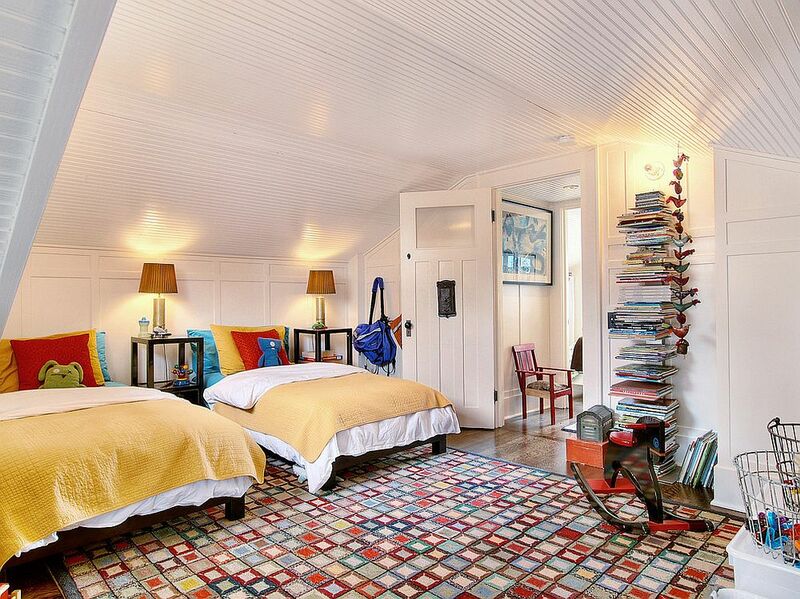 An eye-catching rug need not be all about just blocks of bold color. 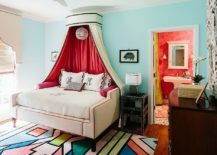 On the contrary, most colorful rugs seem even more attractive when they carry a subtle pattern that complements the style of the room or the other geometric shapes in the kids’ room. 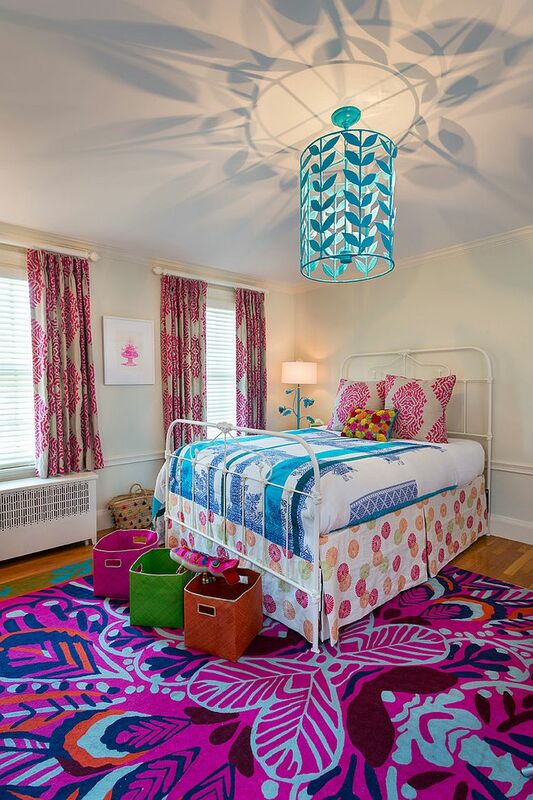 If the bedding carries floral motifs in the girls’ bedroom, then a rug that showcases a similar design is a smart choice indeed. 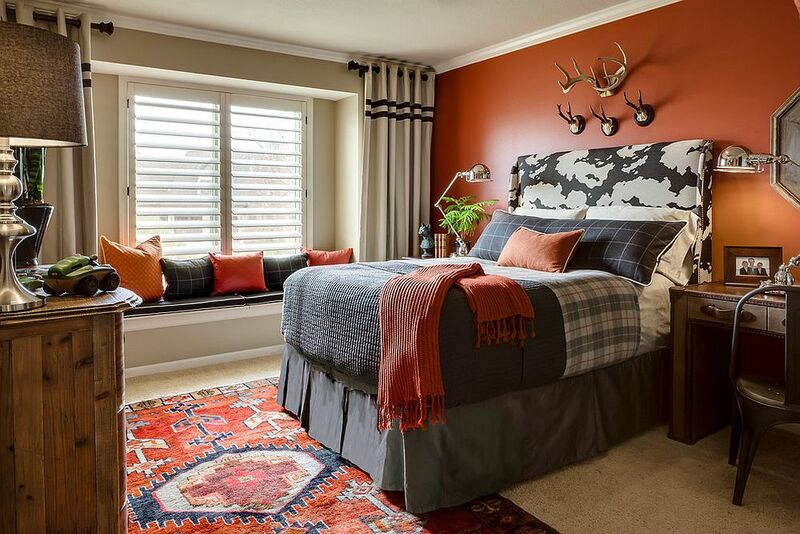 This approach can be replicated with simple stripes or a chevron pattern in the gender-neutral or boys’ bedroom while choosing the perfect rug. 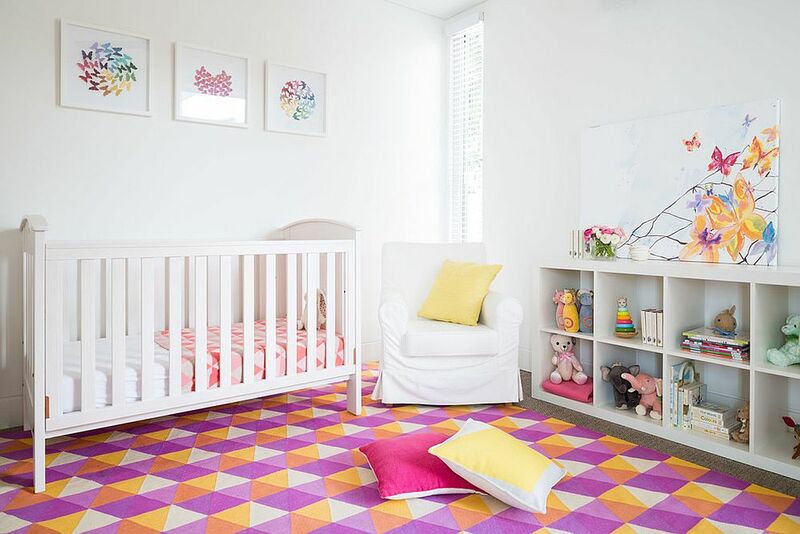 Those who are design conscious and wish to fill the bedroom of their little darling with a rug that is trendy and cool might want to consider one that carries colorful geometric patterns. 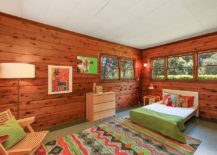 With the geo trend and styles such as retro and midcentury currently making waves, these rugs make a great style statement. 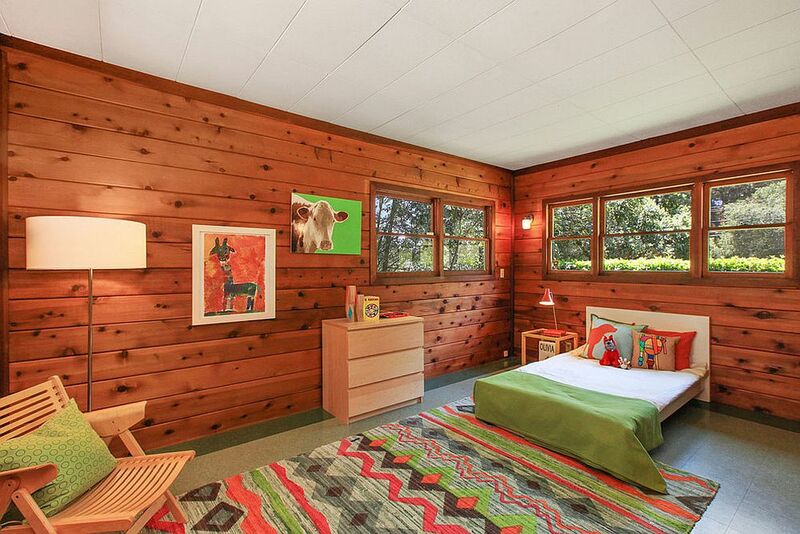 Maybe you fancy something from the classic David Hicks school of design? 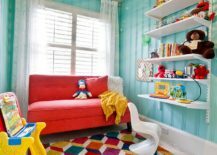 A collection of kids’ rooms is never really complete without browsing through a few nurseries as well, and as you will see below, the colorful rug is a fabulous choice for the cozy modern nursery. 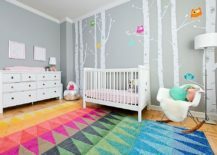 Most homeowners are embracing a contemporary-Scandinavian style in the nursery, as it is clean, versatile and allows them to craft a room that grows along with their little one. 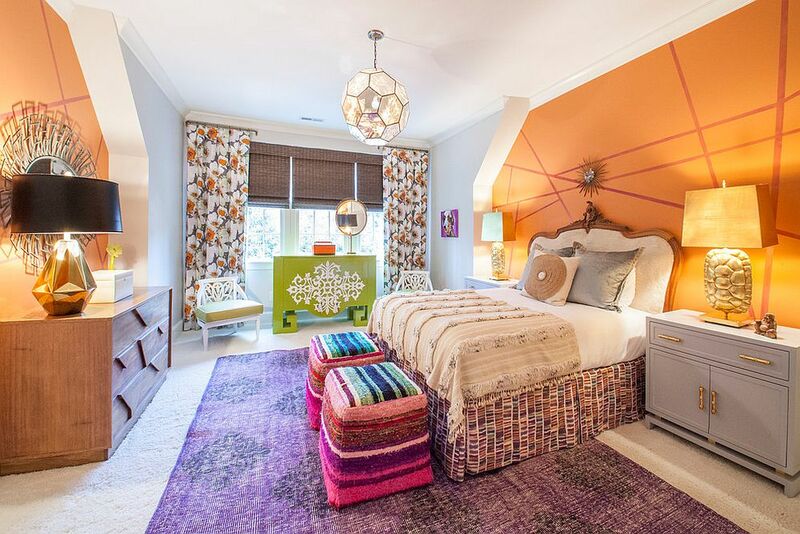 A bold rug can breathe life into this setting and drive away any sense of boredom, even if the walls are clad in shades of gray and pastel hues. 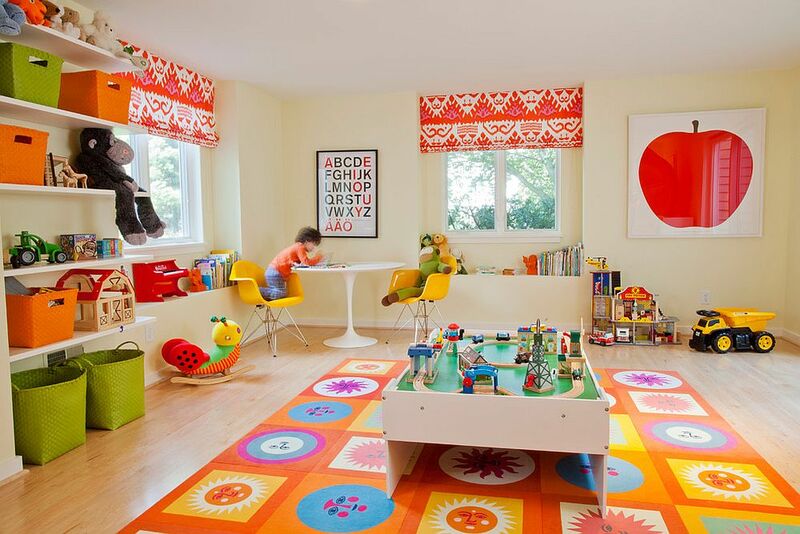 Finally, we delve into the fun and fascinating world of playrooms that feature dashingly beautiful rugs. 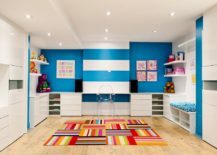 A hot trend in this realm is the use of colorful and diverse FLOR Carpet Design Squares to craft custom rug-style solutions that are perfect for the playroom. 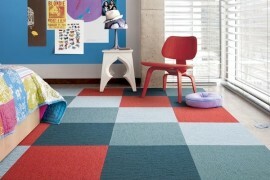 Offering design flexibility and durability, they are easy to clean and maintain. Not impressed? Prefer the flamboyant rug instead? Not an issue, as we have a few of them lined up as well below!